Price is per four of these beautiful beads. Each measures 24mm x 19mm - the hole for stringing is through the flowers stem. Picture shows different views of the same. 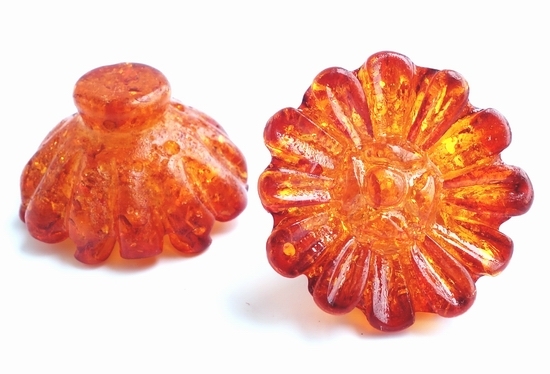 Manmade to look like vintage old amber.